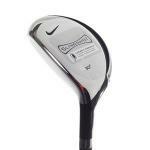 If you are still swinging a 2 iron or a 3 iron then you are missing the boat. 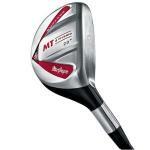 The hybrid is one of the best advances in golf equipment since the sand wedge. It doesn’t matter what your level is, hybrid clubs will make you more consistent and improve your game. 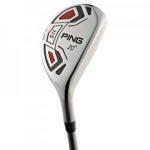 Forgiving – The main thing to consider when picking out a hybrid is choosing the right club for your level. High handicappers who are less concerned with working the ball should look for a large forgiving face with lots of stability. 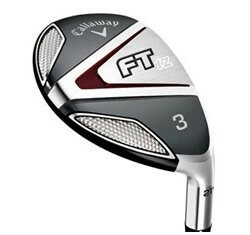 One of my favorites is Callaway FT-iZ. 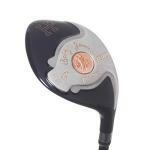 It has a triangular shaped clubhead with weights in the perimeter. This means off center shots still go high and far. I also like the Cobra Baffler. 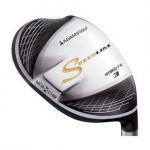 Workability – For lower handicappers, I recommend a clubhead that is a little sleeker making it easier to work the ball. 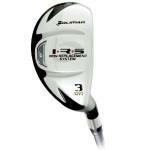 My favorite is the Taylormade Rescue because it is so easy to hit. The club has a low friction sole that helps get it through the rough, and the compact and low CG makes it very easy to move the ball left to right, right to left, high or low. Another good choice is the Muzuno MP-CLK. Hybrid Sets – The coolest thing about the advent of hybrids is how they’ve made it so much easier to learn the game for beginners. Without investing a lot of money, you can pick up a set of hybrids and head out to the driving range. My favorite set is the Adams Idea A7 OS set. This is an 8 club set that includes extremely forgiving clubs with oversized faces that are perfect for anybody picking up the game of golf. I also like these Wilson Fybrids. This is new technology that fuses graphite with steel. This Cleveland Launcher DST has very similar technology as the DST Driver. The dual rail system helps the hybrid stay stable when going after it in the rough or any other lie. 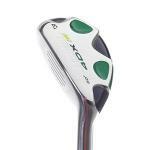 In addition, it helps reduce turf drag and improve contact. Mizuno engineers some beautiful clubs. This MP-CLK Hybrid is more versatile than I would expect from a company that I typically think of as an expert player's brand. These Tour Edge Exotics clubs may be the best kept secret of modern golf equipment. I predict we will see a surge in this company in the coming years. 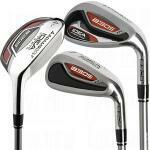 Adams Golf and Nickent Golf seem to be the kings of hybrids. Adams may have invented hybrids, but Nickent is taking it to the next level. Their claim to fame is their patented Brazing Technology. Hybrids are all the rage. Why shouldn't the Nicklaus Corp jump on the bandwagon? These hybrids include the 2 with an 18 degree loft, the 3 with a 21 degree loft, a 4 with a 24 degree loft, and a 5 with a 27 degree loft. 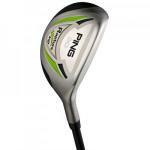 If you are struggling with getting your irons airborne or suffer from inconsistent mishits, I can understand why you are checking out these hybrid irons. These clubs are designed to help you easily get the ball flying high towards the green. This review is a little tricky. I feel like I might come off sounding like a golf snob. Oh well. You can take it, right? Plus, you don't have to agree with me. But... I think you will.